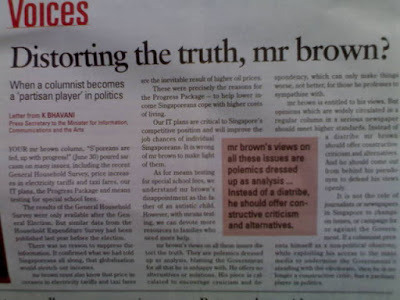 S M Ong: Here Today, gone tomorrow: Remember the time Mr Brown's column got suspended? Here Today, gone tomorrow: Remember the time Mr Brown's column got suspended? There will be no Today tomorrow. At least in print form. On Friday, Mediacorp published the final print edition of Today newspaper and Singapore Press Holdings is back to being a monopoly, albeit in a sunset industry, thanks to the Internet. I interviewed for a job at Today in 2002 after I was retrenched from SPH Mediaworks but didn't get it. Ironically, the Today editor who interviewed me was PN Balji, who had jumped ship to Mediacorp from SPH where he was editor of The New Paper, which I would join six years later. Apart from my abortive job interview, what I remember most about the 17-year history of Today are two names, Val Chua and Mr Brown. They starred in separate (but linked) Today sagas that serve as chilling reminders of how individuals can be punished when the press (unwittingly?) missteps in the eyes of the state. "It's how the system works ... They did not discriminate against us," he noted of his London experience. This contrasted sharply with how quickly Singaporeans - including national carrier Singapore Airlines - reacted to the situation. Even though doctors initially advised that Mrs Lee stay put in London for three weeks, Mr Lee decided fly her back once her condition stabilised. And then there was the big worry that she would get a spasm onboard, he recounted. But he needn't have worried. Within 48 hours, SIA had fitted out SQ321 with medical support of oxygen tanks and other fixtures for a drip. "No other airline would have done this," Mr Lee said, looking visibly touched. On board were also two Intensive Care nurses from Changi General Hospital, two doctors, as well as officials from SIA who made sure all the equipment worked. "Everyone knows his job," said Mr Lee. "Within 12 to 13 hours, we'd reached Changi Airport. It was a big relief," he said. "Twelve to 13 hours. Your heart stops beating sometimes. We landed at Changi Airport. Great relief. I had my granddaughter (Li Xiuqi) with me. She is very fond of her grandmother. She was so relieved." Mrs Lee was whisked off in an ambulance to Singapore General Hospital, where she is recovering. "I think this experience has changed my granddaughter's view of Singapore," Mr Lee said. The overseas ordeal has made him even more assured that Singapore has what it takes to succeed, despite the downturn. "It's how we respond in an emergency that determines how we fight back. And I have enormous confidence that we can fight back." The Singapore system - with its efficiency and fighting spirit - must be kept, he said. "You slacken, you choose the easy way, and you'd be finished," he said. Choking back tears, he added: "I have immense confidence that in an emergency, our people respond ... If we can do that, we can succeed." I actually remember seeing the story that day and didn't think anything of it, but apparently, it caused an international incident. Singapore's Senior Minister, Lee Kuan Yew, admitted Wednesday he was mistaken to claim that British Prime Minister Tony Blair's office intervened to ensure his wife got quick treatment at a London hospital. The elderly Lee caused a mini furore when he told a public gathering here at the weekend that 10 Downing St helped ensure his wife was given a brain scan four and a half hours earlier than doctors had initially said they could. 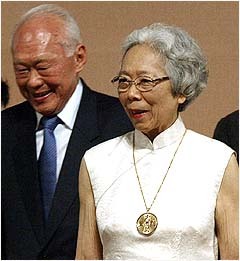 Mrs Lee Kuan Yew, 82, was taken to the state-run Royal London Hospital at 12:30 am on Sunday October 27 after she suffered a stroke while the couple were travelling on official business. Lee, 80, initially said Singapore High Commissioner Michael Teo had called 10 Downing Street at 2:00 am and asked them to help ensure Mrs Lee was given the CT scan more quickly. "Because of 10 Downing Street, the CT scan was done at 3:30 am. And then the blood clot could be seen clearly," Lee told the weekend community event, adding the incident highlighted the problems of Britain's free health care system. But after the Royal London Hospital denied on Tuesday it ever gave preferential treatment to anyone and his comments made front-page headlines in Britain, Lee's office issued a short statement clarifying his comments. "Mr Lee Kuan Yew regrets he was mistaken that 10 Downing Street had anything to do with his wife getting a CT scan at 3:30 am," the statement said. "Earlier, at 2:00 am, he was told that it would be done at 8:00 am because they had cardiac patients to attend to. "The hospital authorities may have decided on their own that they could do the scan for Mrs Lee earlier and she was scanned at 3:00 am, completing it at 3:30 am." The Royal London Hospital is part of Britain's huge state-run National Health Service, which guarantees free health care to all but suffers long waiting lists, excessive red tape and a shortage of doctors and nurses. Lee's weekend comments that were critical of Britain's health care system compared with Singapore's part user-pays method also caused controversy. "We run a system where you have to co-pay... but you get the attention. There, no attention, just join the queue," local media reported Lee as saying. He described The Royal London Hospital as a "wonderful hospital" a long time ago. "But after 40 plus years... the system cannot deliver. There's no connection between those in the system and the patients." Lee also praised Singapore Airlines for fitting out a plane with two intenstive care nurses, two doctors, oxygen and a drip to bring his wife back to Singapore, despite a British doctor telling them it would be better she stayed in London to recover. "We weighed the odds and decided to take the risk," Lee said. Mrs Lee is recovering at Singapore General Hospital. LKY's press secretary summoned Shaun Seow, Mano Sabnani, Rahul Singh [actually Rahul Pathak], Bachchan Singh and Val Chua for a tekan session at the Istana. He chided the newspaper for running provocative stories that are out of bounds. Today was asked to explain what service it does to the nation and why it shouldn't be closed down. Mediacorp was ordered to supervise Today more closely or it will be punished too. Also, all reports on local news must be written by locals, no foreigners allowed. 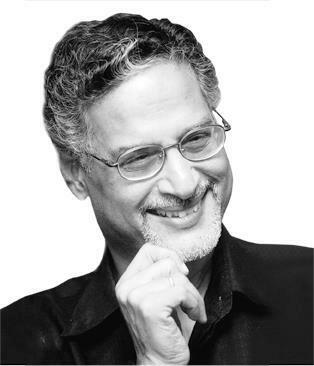 The chief editor, Mano Sabnani, has been demoted. He still holds the title, but he must now report to Shaun Seow, CEO Mediacorp Channel News Asia. Shaun was previously in the news when his wife Zahara Latif poured boiling water on her maid and pushed her down a flight of stairs. Zahara paid a huge sum to the maid and pleaded mental unsoundness and got off with a light sentence. Maybe she was a White Horse or really kuku after so many years at Channel News Asia. Look at what happened to the rest of the lot. The deputy editor Rahul has also been demoted to night desk to be together with the other night editor Bachchan Singh. The reporter Val Chua now writes advertising features for DBS and other banks. Her press pass is withdrawn and she cannot report news. She keeps her job and now reports directly to an old ex-Reuters editor hired in September by Today to consolidate operations. Today has been told it has crossed the line and the media license will be withdrawn if it writes in such a way as to provoke bad feelings which may lead to public unhappiness. Now, what the **** is happening? Was Val Chua's report factually wrong? Was it slanderous? Was it biased? Nothing. She reported what SM said at the Tanjong Pagar makan session, straight reporting, no twist. She added some background about the healthcare system and how different Singapore and UK are, mentioned by SM in his talk. A young girl's career is ruined when she did no wrong. Where is justice? Chua appears to have since bounced back and is now the director of communications at Marina Bay Sands. Household incomes are up, I read. Sure, the bottom third of our country is actually seeing their incomes (or as one newspaper called it, “wages”) shrink, but the rest of us purportedly are making more money. 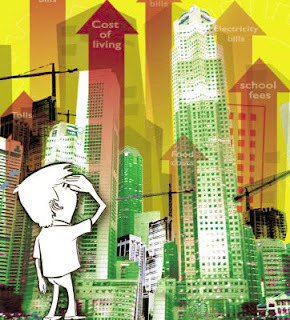 So Singaporeans need to try to “up” their incomes, I am sure, in the light of our rising costs. Have you upped yours? It would have been too taxing on the brain if those price increases were announced during the election period, thereby affecting our ability to choose wisely. The other reason I am glad with the timing of the cost of living increases and wages going down, is that we can now deploy our Progress Package to pay for some of these bills. Wait, what? You spent it all on that fancy pair of shoes on the day you saw your money in your account? Too bad for you then. As I break into my Progress Package reserves to see if it is enough to pay the bills, I feel an overwhelming sense of progress. I feel like I am really staying together with my fellow Singaporeans and moving forward. There is even talk of future roads like underground expressways being outsourced to private sector companies to build, so that they, in turn, levy a toll on those of us who use these roads. I understand the cost of building these roads is high, and the Government is relooking the financing of these big road projects. Silly me, I thought my road tax and COE was enough to pay for public roads. Maybe we can start financing all kinds of expensive projects this way in future. We could build upgraded lifts for older HDB blocks, and charge tolls on a per use basis. You walk into your new lift ovn the first floor, and the scanner reads the contactless cashcard chip embedded in your forehead. This chip would be part of the recently-announced Intelligent Nation 2015 plan, you know, that initiative to make us a smart nation? So you, the smart contactless-cashcard-chip-enhanced Singaporean would go into your lift, and when you get off at your floor, the lift would deduct the toll from your chip, and you would hear a beep. The higher you live, the more expensive the lift toll. Now you know why I started climbing stairs for exercise, as I mentioned in my last column. I plan to prepare for that day when I have to pay to use my lift. God help you if some kid presses all the lift buttons in the lift, as kids are wont to do. You will be beeping all the way to your flat. The same chip could be used to pay for supermarket items. You just carry your bags of rice and groceries past the cashierless cashier counter, and the total will be deducted from your contactless cashcard automatically. You will not even know you just got poorer. And if your contactless cashcard runs out of funds (making it a contactless CASHLESS cashcard), you just cannot use paid services. The door of the lift won’t close, the bus won’t stop for you, taxis will automatically display “On Call” when their chip scanners detect you’re broke. Sure, paying bills that only seem to go up is painful, but by Jove, we are going to make sure it is at least convenient. No more opening your wallet and fiddling with dirty notes and coins. Just stand there and hear your income beeped away. No fuss, no muss! I cannot wait to be a Smart e-Singaporean. I also found out recently that my first-born daughter’s special school fees were going up. This is because of this thing called “Means Testing”, where they test your means, then if you are not poor enough, you lose some or all of the subsidy you’ve been getting for your special child’s therapy. I think I am looking at about a $100 increase, which is a more than a 100 per cent increase, but who’s counting, right? We can afford it, but we do know many families who cannot, even those that are making more money than we are, on paper. But don’t worry. Most of you don’t have this problem. Your normal kids can go to regular school for very low fees, and I am sure they will not introduce means testing for your cases. We need your gifted and talented kids to help our country do well economically, so that our kids with special needs can get a little more therapy to help them to walk and talk. And hey, maybe if the country does really well, the special-needs kids will get a little more subsidy. High-definition televisions, a high-speed broadband wireless network, underground expressways, and contactless cashcard system — all our signs of progress. I am happy for progress, of course but I would be just as happy to make ends meet and to see my autistic first-born grow up able to talk and fend for herself in this society when I am gone. That is something my wife and I will pay all we can pay to see in our lifetimes. YOUR mr brown column, S’poreans are fed, up with progress! (June 30) poured sarcasm on many issues, including the recent General Household Survey, price increases in electricity tariffs and taxi fares, our IT plans, the Progress Package and means testing for special school fees. Our IT plans are critical to Singapore’s competitive position and will improve the job chances of individual Singaporeans. It is wrong of mr brown to make light of them. As for means testing for special school fees, we understand mr brown’s disappointment as the father of an autistic child. However, with means testing, we can devote more resources to families who need more help. It is not the role of journalists or newspapers in Singapore to champion issues, or campaign for or against the Government. If a columnist presents himself as a non-political observer, while exploiting his access to the mass media to undermine the Government’s standing with the electorate, then he is no longer a constructive critic, but a partisan player in politics. The suspension of Mr Brown’s column was widely criticised. Mr P N Balji has rejoined the group as Editorial Director to help raise journalistic standards across the group. He will also directly supervise the TODAY newspaper after the resignation of Mr Mano Sabnani. \ Mano is not a bad person. He may be dull and unexciting, even a coward before the civil servants who oversee him, but he was treated as pariah by his peers. Days after the shocking staff reshuffle in Today, the "resignation" of Mano Sabnani was used as a warning to others in Today to toe the line. 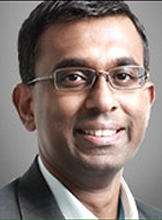 On Nov 12, P N Balji and some senior editors were told by Mediacorp Deputy CEO Shaun Seow that Today should tone down its alternative streak at least for the moment until the coast is clear. During the half hour meeting in the morning, Shaun reiterated that Mediacorp had top-down and bottom-up pressure to remove Mano, who was a lousy people manager. The final straw was Mano's handling of the Mr Brown affair and his anxious decision to terminate Lee Kin Mun's popular weekly column. Mano had over-reacted and misread the government's anger after his experience in the Val Chua incident. As a result of Mano's action, the public became incensed with what they saw was the strong interfering hand of the government in removing their favourite columinist from Today. The topic then changed to editorial hooks. While no names were mentioned, Shaun said that the angles by certain Today editors during the 2006 General Election were touchy and it should not become a habit. Shaun tried to reason with his increasingly uncomfortable audience that his hands were tied and everybody better play ball or they might suffer an even worse fate than Mano. Mano had at least an ex-gratia payment upon his departure. Shaun reminded them that the political masters have them sighted and keeping their heads down was sensible. After the meeting, everyone trooped out with dark looks and a worried Balji, Today's returned founding editor, was frustrated that he had to deal with more morale problems, although Today was already turning profitable. By afternoon, whispers soon began circulating about their spineless leadership who dare not stand up and insist on editorial independence. Derrick Paulo is one reporter who feels that he might be the next sacrificial lamb. Balji is just the seat warmer for Walter Fernandez, the new number two in Today. Walter is eager to please but is trying not to attract too much attention to himself in Today's management mess. He is bidding his time and letting Balji take the heat. So, don't expect Today to be like what it was. Walter Fernandez became Today editor in 2012 and remained so till the bitter end. Shaun Seow became Mediacorp CEO in 2011 and was replaced last month by Ms Tham Loke Kheng. Mano started his own company, Rafflesia Holdings, in 2008 and gets to call himself chairman and CEO. Balji eventually left Today for the second time and in 2013, co-founded The Independent.sg as a "responsible, intelligent" website that was "a middle ground which offers the best vantage point for an independent analysis". Yes, hard to believe that The Independent.sg ever cared about being "responsible, intelligent". In 2015, Balji joined RHT ARC Comms & Relations as a media consultant along with another Mediacorp refugee, Woon Tai Ho. What happened to the grandchildren? As for Mr Brown, he is, of course, still Mr Brown. 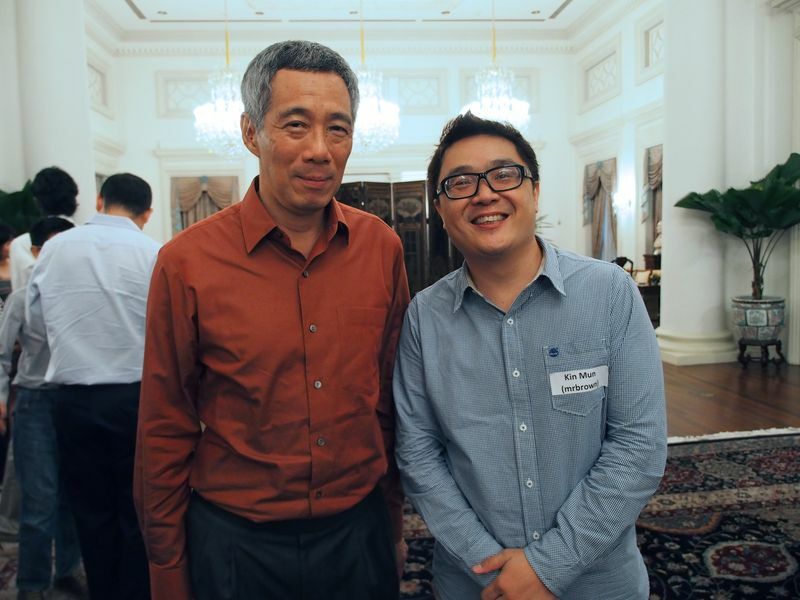 He was invited to lim tea (not lim kopi) with Prime Minister Lee Hsien Loong at the Istana in 2012, so all seemed to be forgiven. But as a newspaper columnist myself, I'm always aware that what happened to Mr Brown could happen to me. The getting suspended part, not the going to Istana part. Although, frankly, I wouldn't mind losing the column that much because it has become a chore, but the fear is that I might lose my job because of something I wrote. Never mind self-censorship because you can never tell who will get offended by what. So for every article, I just brace myself for the worst. I'm getting tired of living like this. Actually, I'm surprised by some of the stuff I've gotten away with in the last nine years, but my luck could run out any time. That's partly why I asked to reduce the frequency of my column from weekly to biweekly after The New Paper revamp late last year. I still wonder sometimes how differently my life would've turned out if I had gotten the job at Today. I guess I could be unemployed tomorrow. 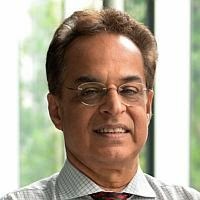 Two incidents that marked – some would say marred – (Mano Sabnani's) journalism career happened soon after he became the chief editor and CEO of the TODAY paper in 2003. There was the not-so-well-known encounter with Lee Kuan Yew just after Sabnani took over at TODAY in 2003. LKY gave a speech at a constituency event criticizing the British medical care system. He had just returned from a trip to London where his wife suffered a stroke. He told his audience that if not for the involvement of Tony Blair’s office she would not have got the medical help she needed and compared the medical services of both countries. It was meant only for the ears of his audience. But TODAY reported what exactly LKY said; the others shaded their reports without going into the specifics. As expected, the report embarrassed LKY who had to issue a public statement saying he had mistakenly named 10 Downing Street as being involved in helping Mrs Lee get a CT scan. True to form, LKY hit the roof and summoned Sabnani, Val Chua, the reporter involved, Rahul Pathak, the supervising editor, and Ernest Wong, Mediacorp’s CEO, to the Istana. They were cross-examined one at a time. The immediate effect of that Istana scolding was the editor’s decision to move the reporter to the sub-editor’s desk. Sabnani tries to solve the mystery of why TODAY published that report when the other papers had given censored versions. It seems that LKY’s press secretary had not briefed the TODAY journalist about not reporting the salacious details but had told the others. It is clear from the way Sabnani relates the story that the press secretary was to blame, yet nobody dared to tell LKY that. Sabnani does not say why he and his team were silent. 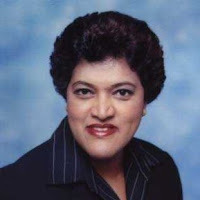 Another defining incident was the high-profile Mr Brown affair – an “unpleasant” incident, says Sabnani – which saw the press secretary to the then Minister of Communication, Information and the Arts writing a strong letter to the paper denouncing an article written by Mr Brown. 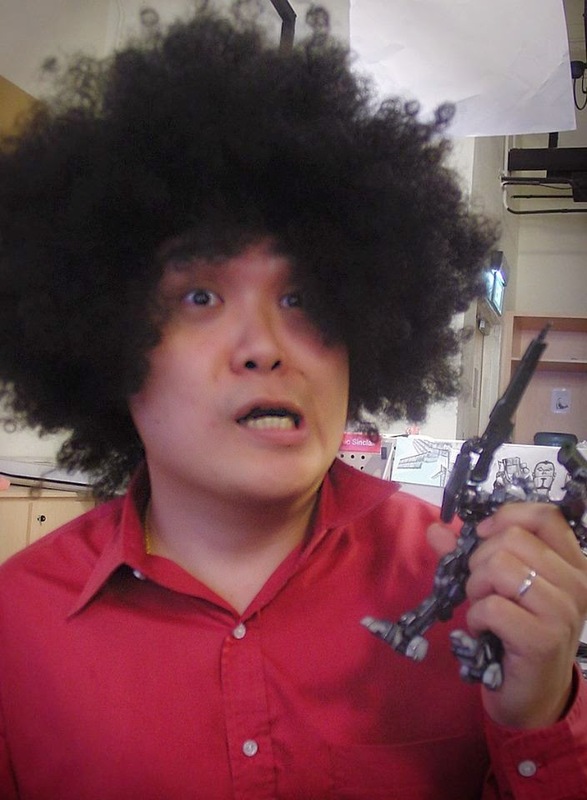 The columnist, who was beginning to make a name for himself with his hard-hitting satire on social media, had listed a number of issues affecting Singaporeans in 2006. Among them was the increase in prices of electricity tariffs and taxi fares and means testing for special school fees. The language used in the column was unusually hard-hitting and brutal. Mr Brown is a partisan player in politics, thundered the press secretary. The government had just come out of a bruising election which saw the PAP’s share of votes drop from 75.3 to 66.6 per cent and its jitteriness every time an electoral setback strikes has been well known in Singapore. The matter would have ended there if Sabnani had not decided to drop Mr Brown as a columnist temporarily. Sabnani explained his decision to the staff this way: “I told my editors that I had people’s jobs and livelihood to look after. We have come this far (the paper has been in existence for six years then); it doesn’t make sense to fight this battle and lose the war.” The online world went into over drive with bloggers saying that the government forced TODAY to stop Mr Brown from continuing with his column, an accusation that must have angered the authorities. Then came another Mr Brown aftershock. Some staff at TODAY protested by wearing brown in the newsroom. “I had heard about it but did not take it seriously. Then someone tipped off the senior management. One of them (from the management) came to see me a few days later and told me I had to keep control of the newsroom,” writes Sabnani. Who was that someone? The author leaves it to the readers’ imagination to make some educated guesses. But it was clear that the powers that be were not happy with Sabnani. He left soon after but again does not go into the details of whether he was forced out or he left voluntarily six months after his three-year contract ended. But he does say he was disappointed how his editorship ended, especially after the paper began to make a profit under his leadership. “It was unfortunate that my tenure ended the way it did,” he writes. That is the closest he comes to a criticism of the way things turned out for him at TODAY.